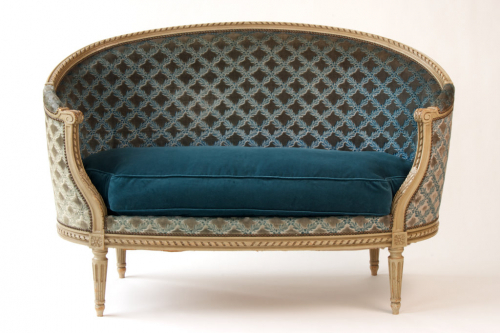 Exceptional French canape/sofa from the 1870-1890 period. Louis XV style. Original painted frame and original velvet fabric, which is in very good condition.